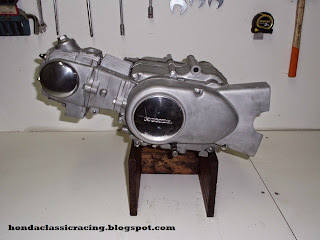 Just finished myself another engine. classic looks on the outside, but with power inside. 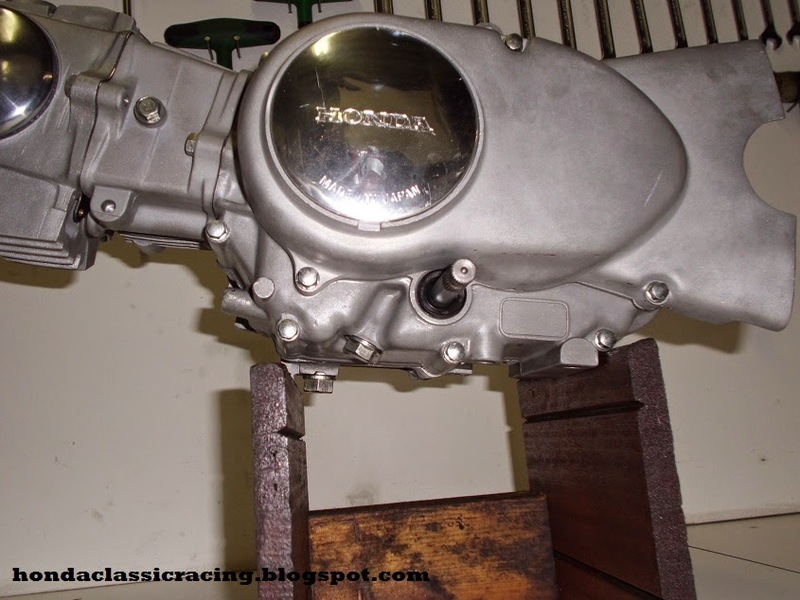 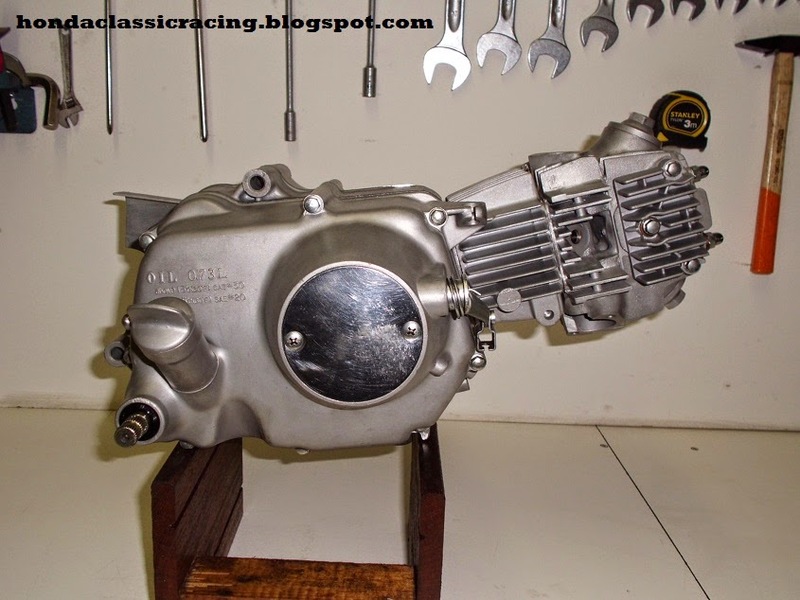 Made this way with modified S65 cases, fitted with 52mm stroker crank, 52mm cylinder making 110cc, with a ported CL70 head, fast camshaft, 2 plate alloy clutch coupled to a modified original Honda 5speed gearbox and many more modifications and rare 60's parts such as the engine covers and breather kit.